‘NCIS’ Season 15 will have its premiere in September and the presence of Mark Harmon makes it one of the most anticipated series of the year. Since the 66-year old actor plays the role of a protagonist, Leroy Jethro Gibbs, the news on his sudden departure highly saddened the viewers. They all started raising the voice for boycotting the series. 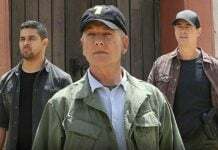 The upcoming episodes of ‘NCIS’ Season 15 will clarify more about what happened after the fallout in Paraguay that made Leroy Gibbs (Mark Harmon) and Timothy McGee (Sean Murray) prisoners of rebels. We all have seen the plight of both the characters and how their captives physically tortured them. This generated several questions related to mainly Gibbs’ fate that was also fueled by rumors of his exit from the show. 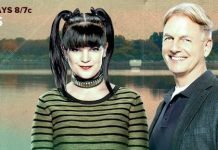 In the meantime, Mark Harmon has put some light on his and Murray’s character in the upcoming ‘NCIS’ Season 15. The viewers are confirmed that both Gibbs and McGee will be seen in Paraguay when the show returns. According to Harmon, both are still looking forward for rescue. He further said that they had a rough time over the couple of months after they were imprisoned. It is also reported that Gibbs may look a tad different or physically deteriorated as a result of being under the rebels’ control. The ‘Mr. & Mrs. Smith’ actress, Maria Bello will be seen in ‘NCIS’ Season 15 as a special agent named Jacqueline Sloane aka Jackie. She was recently present with Mark Harmon in her first joint interview on ‘The Talk’ after joining the show. She cited the reason why she wanted to be a part of the show. She said that this was her parents’ favorite show and this ignited her desire to join the series, as reported by Cartermatt. Tip: You can get a Free Netflix Account here. You can watch both Mark Harmon and Maria Bello on ‘The Talk’ in the video below. The series will hit the small screen on Tuesday, September 26, 2017 on the CBS.